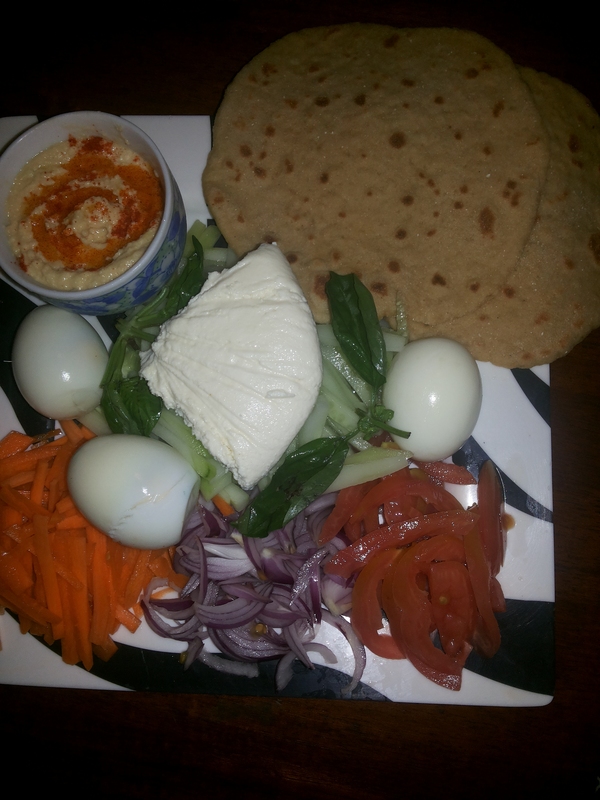 Egg, Paneer and Veggies wheat Flour Pita Pocket. Combine all the ingredients, except the oil and salt in a bowl and knead into a soft dough using enough water. Add the oil and salt and knead again till it is smooth and elastic. Divide the dough into 6 equal parts and roll out each portion into a oblong of 150 mm. (6″) length and 6 mm. (¼”) thickness. Cook the pita breads on a hot tava (griddle) over medium flame on each side for a minute or until the bread puffs up and a cavity is created in the bread. ← Meat Roll with fresh veggies and Hummus.